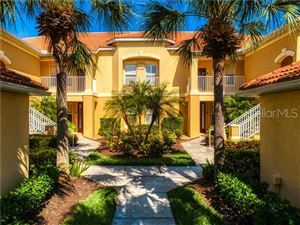 The Country Club at Lakewood Ranch golf and tennis residential community is the crown jewel of master-planned development in Southwest Florida. Specially designed to pay tribute to the glamour and refinement of Sarasota in the early part of the 20th century, the Country Club evokes the class and style that circus magnate John Ringling envisioned for his beloved Sarasota. The wide variety of home designs at the Country Club at Lakewood Ranch makes house hunting a pleasure. The diverse architectural styles range from classic Floridian to Mediterranean and from the contemporary to the neo-classical. Pricing varies according to the neighborhood and the floor plans. Most neighborhoods in the Country Club are single-family home developments except for Miramar, an elegant enclave where residents live in cozy townhomes. At Miramar, pricing starts in the low $200Ks for floor plans ranging between 2,300 to 2,800 square feet. At Edenmore, Silverwood, Thornhill and Stone Ridge, single-family residences are similarly priced ($200K up to high $300Ks), but the floor plans vary from 1,615 to 2,655. The high-end Greystone and Highfield neighborhoods feature luxurious palatial estates with loving areas measuring more than 3,000 square feet and prices starting in the $500Ks. The Country Club offers countless amenities to its privileged residents. Residents can enjoy any of the three 18-hole golf courses: Cypress Links, the challenging King’s Dunes and Royal Lakes, respectively designed by Arnold Palmer, Victoria Martz and Rick Robbins. The Tennis Center boasts 18 courts, a pro shop and a Players Club. The Athletic Center features a state-of-the-art fitness room plus two heated swimming pools, one for family enjoyment and a junior Olympic-sized pool for laps. The neighborhoods of the Country Club are conveniently located near the Lakewood Ranch Town Center and Main Street. At this upscale commercial district residents can enjoy a variety of shopping and entertainment options, as well as quality health care at the Lakewood Ranch Medical Center. Three public schools serve the community: Robert E. Willis Elementary, Nolan Middle and Lakewood Ranch High. 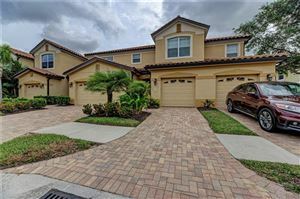 See all Lakewood Ranch Country Club Homes for Sale.